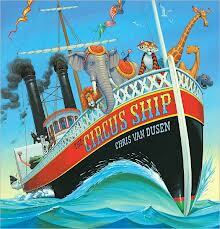 We just finished our circus unit at school and I will tell you it was phenomenal. I could write a series of posts on all the things we did including creating our own circus, but will save those ideas for another post. I do want to share the books that we used for the unit of study because they too were fantastic. Here the are! 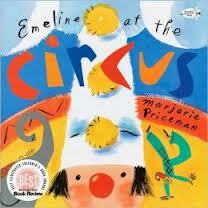 This is the story of young Emeline who visits the circus with her second grade class. Emeline’s teacher is quite strict and asks her students to sit still and listen while she shares information with class about what they are seeing. But while her classmates are listening to their teacher, Emeline is doing some learning of her own! 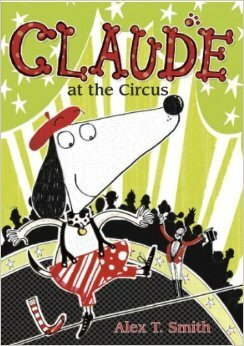 WRITING IDEA: After reading this story, have your students write about their own adventure at the circus. A classic for sure! This is the story of young Morris McGurk’s big circus dreams. This circus has more than a lion tamer and a trapeze artist, it has a wink-hooded Hoodwink and the Spotted Atrocious among other astonishing acts. 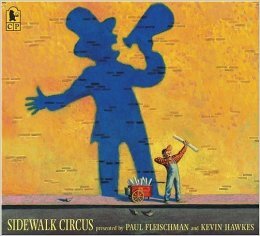 WRITING/ART IDEA: After reading this book, have your students draw or create their own silly circus performer and write about it. My students were mesmerized by this book. 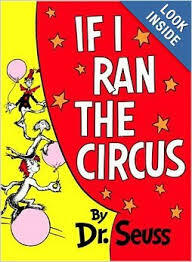 It tells the story of the circus from set up, to show time, to taking it all down and moving on to the next town. This book is great for discussion! When a circus shop runs aground off the coast of Maine, all the animals have to swim through the chilly waters until they come upon a nearby island. Once there, they win over the townspeople with their kindness and when the greedy circus owner comes to the island to reclaim them, villagers of all species conspire to outsmart him. 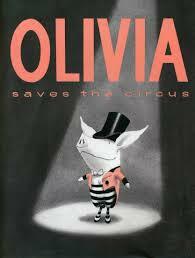 When all the circus performers are out sick with an ear infection, Olivia steps in the save the day which is no problem because Olivia knows how to everything. 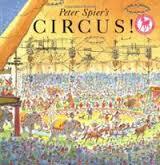 Simple text and brilliantly colored cut-paper illustrations take readers into the big top of the circus. Readers will meet leaping lizards, marching snakes, whistling parrots and the famous tumbling Zucchini Brothers. 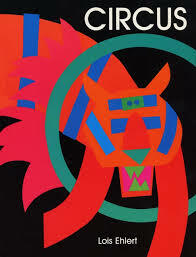 ART IDEA: Have students cute shapes from colored paper to create their own circus animals. 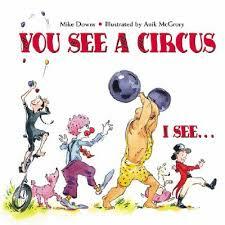 A young circus performer shows his friend around the big top, but not all is as it seemes. His uncle the strong man, always manages to lose their wrestling matches, the tattooed man is a regular guy who loves practical jokes and the trapeze artist is just another mom who makes her son do his homework. 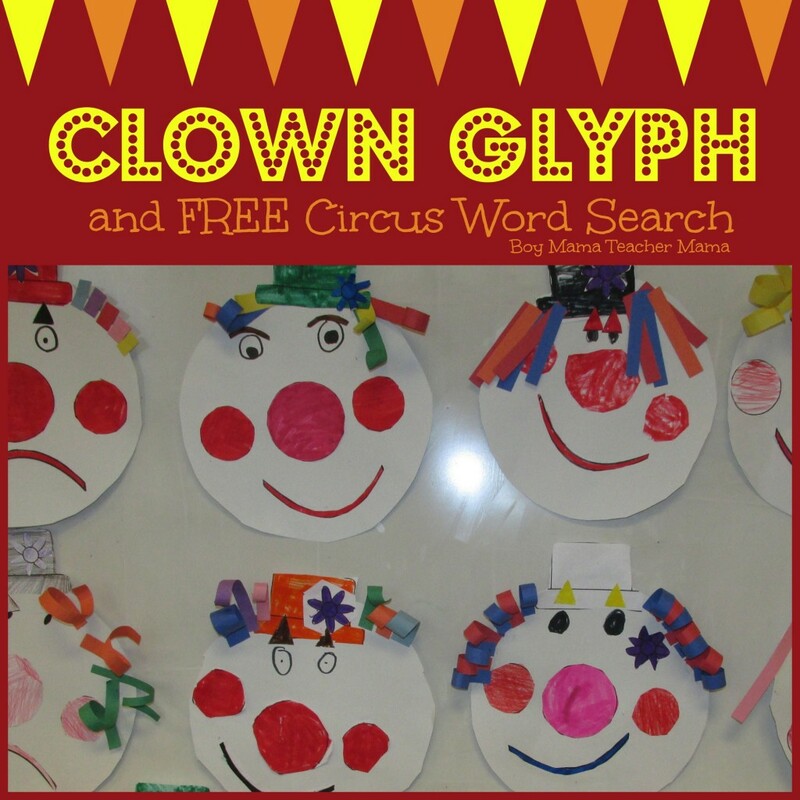 WRITING IDEA: Have students choose a circus performer and write about who that person is when s/he is when not performing in the circus. The circus is coming to town and while the workers are preparing for the big event, on lookers see them turn into circus performers right before their very eyes. 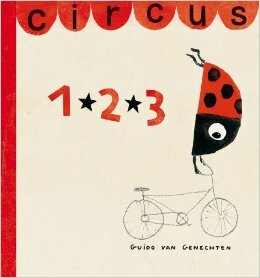 Circus 1 2 3 is a counting book for young children which features circus performers giving an amazing show in the center ring, on the high wire and on the flying trapeze. 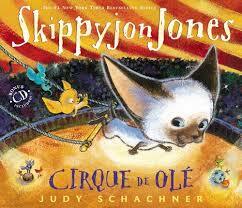 In this adventure, Skippyjon Jones swings out of his closet and into the Cirque de Ole where his pals perform daring feats. There are many acts to see, but only Skippito can perform the trickiest stunt of all. Claude and Sir Bobblysock’s adventures continue when Mr. and Mrs. Shinyshoes leave for the day, and the two decide to take a walk in the park. While there the two have all sorts of adventures including getting caught up in group of joggers, having an ice cream and taking a nap in a flower bed. But when a woman calls for help, the duo finds themselves rescuing a runaway baby buggy. As a thank for saving the baby in the buggy, the two are invited to see the circus where they must help the struggling performers and save the big show. 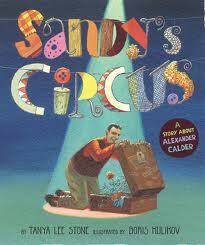 As a boy, Alexander “Sandy” Calder was always fiddling with odds and ends and creating things for his friends. As he got older, he became an artist and began creating wire sculptures. One day, Sandy made a lion. Next he made a lion cage and before he knew it he had created a whole circus! Sandy traveled between Paris and New York performing a brand-new kind of art for amazed audiences. 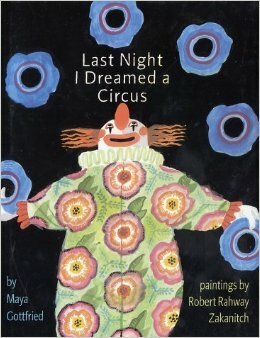 ART IDEA: Have students use colored wire or pipe cleaners to create a circus of their own. 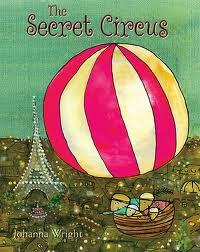 Beneath the sparkling lights of Paris is a secret circus and only the mice know how to find it. This circus features tiny acrobats where mice form pyramids and house cats are tamed. 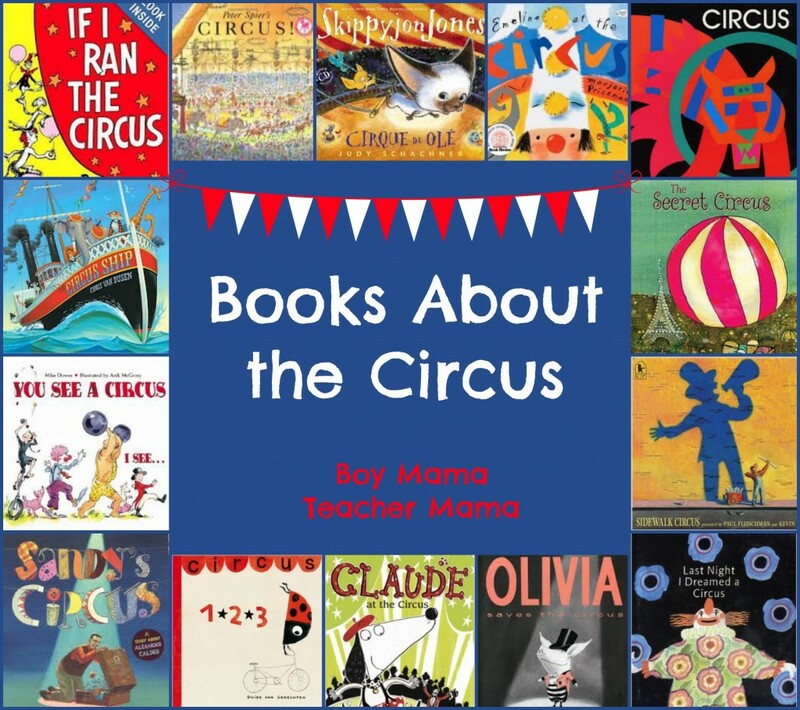 Many children dream of going to the circus, but this narrator puts herself right into the big show where she is the horseback rider, the clown, the trapeze artist and the dancing dog and more.